The trail will no longer be accessible from the Sifto Loop. 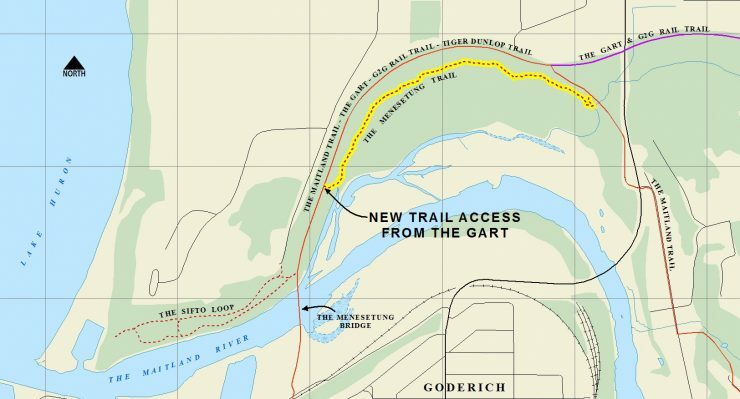 The new western access point is on the GART (see map), and the rest of the trail eastward is unchanged. 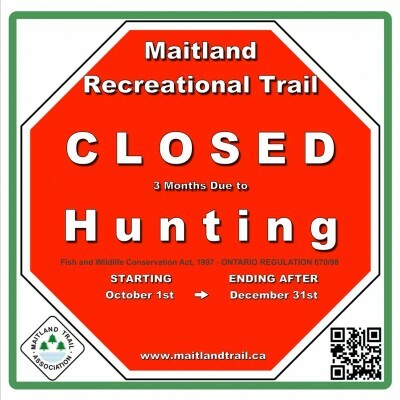 The reason for the closure is due to erosion along the river, and slumping of the slope. 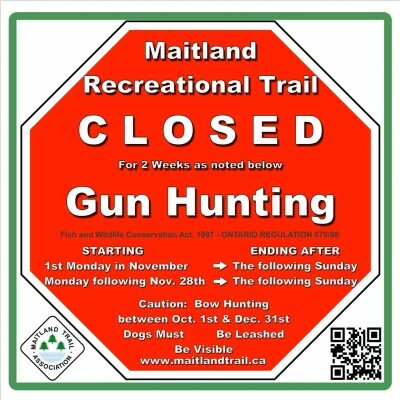 New signs will be posted and new blazes will be in place shortly (if they aren’t already). 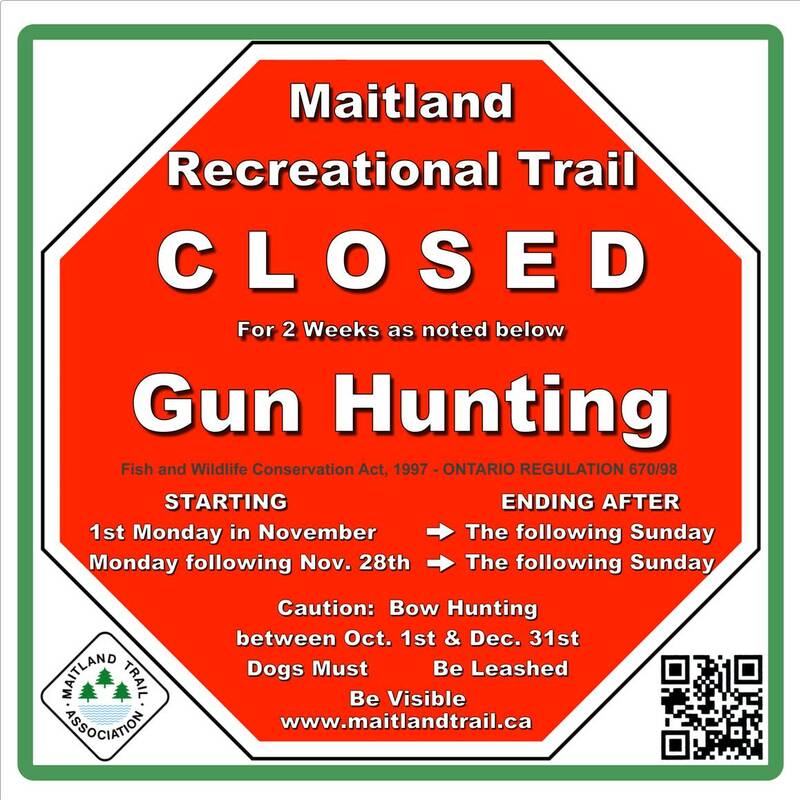 *Outside of trail closures, it is advised that hikers wear bright colours all through the fall, and keep their dogs leashed.